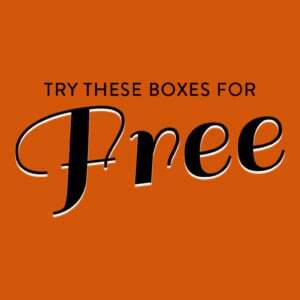 COUPON: Use code GRAD to get or gift a free box when you purchase a Fall semester or full year subscription! Check out the College Subscription Box Directory and be sure to add Tether Box to your subscription list or wishlist! This is a review of the $15 introductory box, which is no longer available. Shark Energy Drink – $3.00? It was incredibly difficult to find this energy drink for sale online, so I’m guessing at the price. This energy drink uses natural caffeine derived from coffee beans instead of artificial caffeine. I am not an energy drink person, so this is going to a friend. Portable Phone Charger – $10.00? This is an exclusive item for Tether Box, so I’m guessing at the price. I charged this up and used it for a few days and it seemed to work well! It’s very light weight and the cord that charges it would also work for most Android phones. This lip balm is made with sweet almond oil, beeswax, coconut oil, avocado oil, mango butter, and cocoa butter. The one I received is cherry vanilla. It smells great, and goes on smoothly. I really like it! Apparently I’m out of the loop. I had no previous knowledge of anything regarding the 240sweet franchise. Apparently they’ve been on a TV show, or something. Since I had no previous knowledge, I just tried my marshmallows and thought they were pretty good on my hot chocolate. Would I pay $1.00 per marshmallow? Nope. I’ve received this brand quite a few times in boxes, and I am always happy to have more. Jackson’s Honest makes really great potato chips, and the flavors are all very good! These BBQ might just be my favorite. I can always use more gum! This isn’t a super exciting item in the box, but definitely one that most of us can use! UPDATE: Tetherbox let us know this box is their $15 introductory box, which is no longer available. Verdict: This box is supposed to be aimed at college students, as a care package. I think the items in the box would all appeal to college aged students, and would work for any gender. The total value of the box is $28.01. It is definitely possible that I undervalued the phone battery bank – I tried to go in the middle of the prices I found. I think that any student that received this box would find it helpful, especially with finals coming up – spending late nights in the library, and needing energy (and sweets – I’ve only been back to school for a semester, and feel like I’ve already packed on the Freshman 15). Have you tried TetherBox yet? How do subscribers rate Tetherbox? 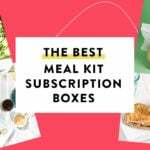 Do you subscribe to Tetherbox? Add your rating now! Hi! This is Rob, one of the creators of TetherBox. First, I want to thank Bekki for her honest and very complimentary review! It is very much appreciated. I also want to thank Lin and Loba for taking the time to post their comments. It’s always nice to hear feedback. A quick Google search shows Lin and Loba have commented what appears to be hundreds and hundreds of times on hundreds of other subscription boxes on this site so they must know their stuff. I do want to correct the record for Lin and Loba though who think the box costs $30 for some reason. The actual full retail value of the TetherBox reviewed by Bekki is just over $32. If you throw in the cost of shipping, the total retail value comes to about $40+. However, as Bekki noted, the box she reviewed sells to our customers for only $15 (not $30) and our subscription plans start as low as $24/month. In fact, using Coupon Code: GRAD gets you that box now for FREE (while supplies last) when you subscribe for next semester! The positive responses to TetherBox from all the college students who have received a box have been overwhelming and we are so grateful for the enthusiastic responses on social media and elsewhere. We love the incredible buzz that’s being created! So, Lin and Loba, now that the confusion is cleared up, who knows, maybe you might want to send a “hug from home” to a college student who you care about. We would love to have you as subscribers! Thanks for clearing that up. Yup, Bekki noted that this was a review of the $15 introductory box which is no longer available. I think I got $30 from the cost of sub plus shipping on a month to month sub. It’s great that the cost gets lower with longer subscriptions like other subscription boxes offer. I have purchased lots of subscriptions. Some have great value. Some offer great curation but not great value. Then there are the unicorns that manage to do great curation and value. I wouldn’t have a problem paying $30 for $32 worth of items or of course when this was available (since introductory box unknown if this box was/will be reflective if monthly sub’s at $30/monthly (less for longer subscriptions)) $15 for $32 worth of items. I have subscribed to boxe (thinks book or food subscriptions) where I am more interested in the curation. I stand by my view that, in my opinion (especially after making care packages for my own child), that the curation wasn’t something unique and that in this instance a person could make a care package for a similar cost with items that could mean more to the student (since it would be personalized) or subscribe to another sub that offered great curation or greater value. Thanks my subscription addiction! You have made me aware of this glorious rabbit hole world of subscription boxes. I love reading the reviews and getting more information before I subscribe. Thanks Tether box for being a company that believes in your product enough to offer it up to reviews. Giving reviewers access to your subscription allows consumers to see what your subscription is all about. I haven’t tried it and after this review don’t plan to. Gum. Chips. Generic charger. Marshmallows. Energy drink. Lip balm. $30? NOPE. I have two daughters in college that would be UNDERWHELMED with this box. Even if the items added up to the cost of the box, whats special about it? Nothing. I am kinda underwhelmed by this box. I wouldn’t expect the world for $30 but think that there isn’t much curation here. I think someone could spend $30 and put together a better box which is more personalized to the actual student or get them a different sub that has more bang for the buck. When my daughter was away at school I was able to piece together some cool mixes for her for not a ton of money. Also regarding 240Sweet… They were in “The Profit” and did not come out in the best light. Shady as all heck and not nice to their employees. Seeing that episode made me never want to do business with them. Gourmet marshmallows seem to be in trend right now. I recommend that anyone wanting them check out Etsy.